In just one week, Badhaai Ho has crossed 60 crore mark at the Box Office. The film, which had released on Thursday, scored yet another superb day as 5 crore more came in. That has now pushed the overall total to 61.85 crore. What makes the collections special is the fact that there is one more day to go in the current week and that would push the collections towards 67 crore mark. That is truly unbelievable for this mid-budget film which was primarily running on the power of Ayushmann Khurranna with a very strong supporting cast adding on to the fun. Superhit. On the other hand Namaste England was running on star power but hasn’t really gone anywhere. With just 40 lakhs* more coming in, the film is standing at 7.85 crore*. The film would bring in some more moolah today and then post that it would be curtains in the second week. Disaster. 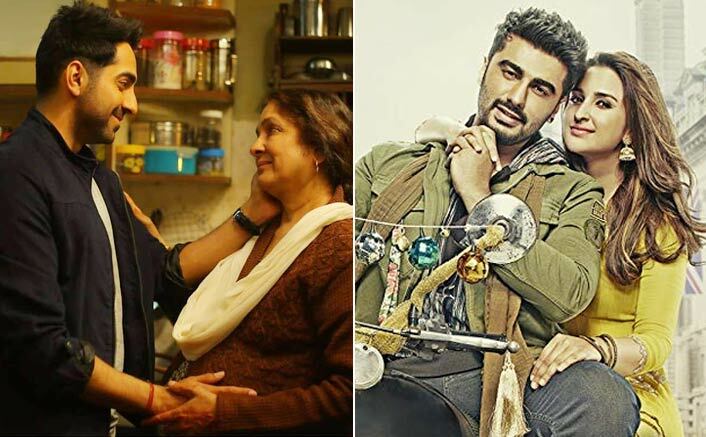 The post Box Office Collections Day 7: Badhaai Ho Crosses 60 Crore, Namaste England Stays Very Low appeared first on Koimoi.